The best-selling "Medical Pharmacology at a Glance" provides a concise and accessible introduction and revision to the principles of pharmacology. Following the familiar, easy-to-use "At a Glance" format, each topic is presented as a double-page spread with key facts accompanied by clear, informative line diagrams illustrating the essential points. 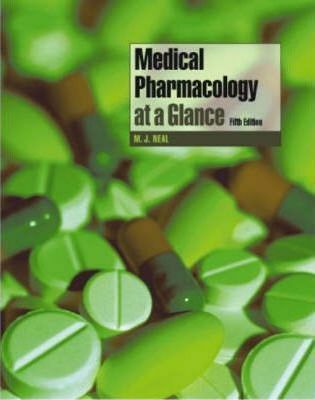 This new edition of "Medical Pharmacology at a Glance": contains a second colour throughout to enhance the visual appeal, making the subject even easier to understand; presents schematic diagrams on the left page and concise explanations on the right as to how the drugs produce their effects and an outline of their uses; and, has been thoroughly revised and updated. "Medical Pharmacology at a Glance" will continue to appeal to all medical students - ideal pharmacology revision and for use during clinical placements. It is an essential buy for students, junior doctors and scientists requiring a succinct and lucid account of medical pharmacology. Reviews of the last edition: '..this book does exactly what it says on the label. It provides an "at-a-glance" summary of pharmacology in 45 easily digested, bite-sized chunks...The writing is sharp, terse and unambiguous. ..Any student wanting a concise and accurate overview of pharmacology could do no better than start with this book' - "The Pharmaceutical Journal". 'I won't beat around the bush: if you are a pre-clinical medical student and you don't already own this book, buy it...There isn't really another book out there which can complete with this title...The "At a Glance" series has expanded rapidly over the last few years, and this book remains the best of the lot...I would strongly urge you to get this book. There aren't many books out there which I think every student should own. This is one of them' - "GKT Gazette", March 2003.